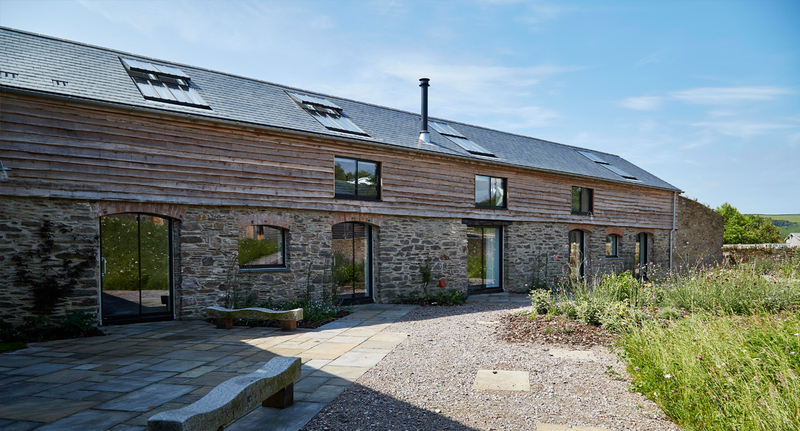 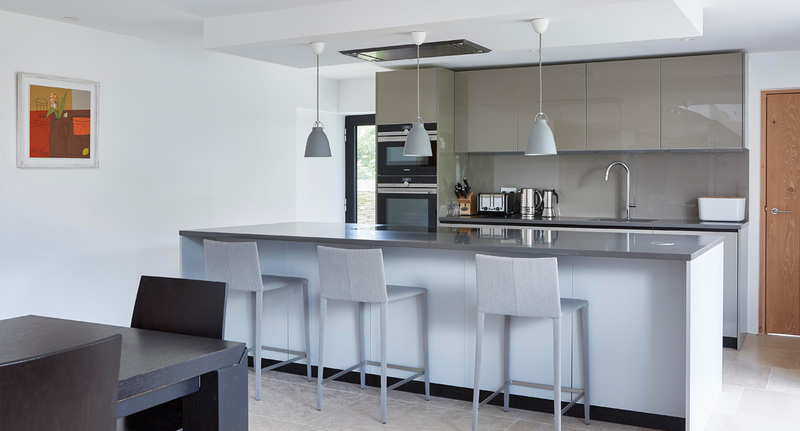 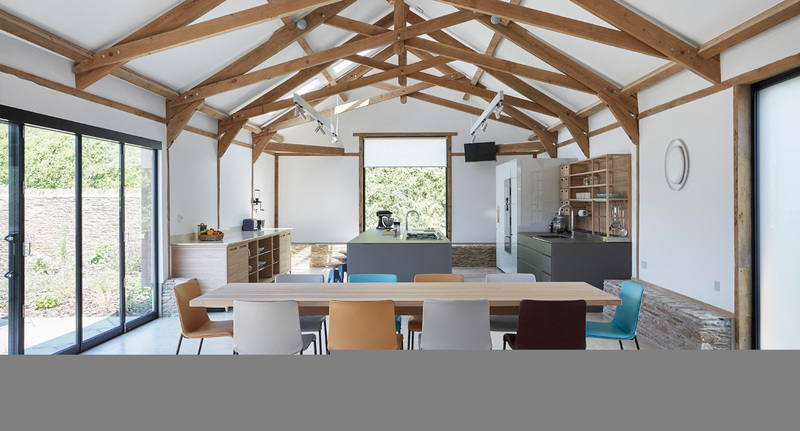 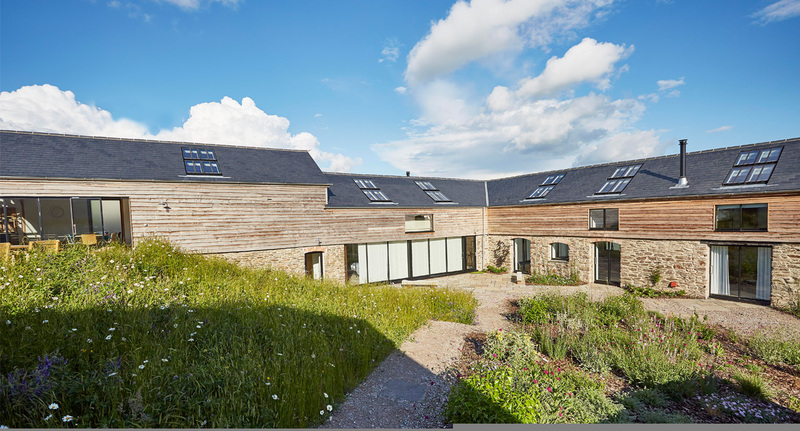 Our clients approached us with an exciting brief in late 2012 to transform the previously dilapidated barn complex and grounds into a modern and luxurious home with ancillary unit with landscaped gardens. 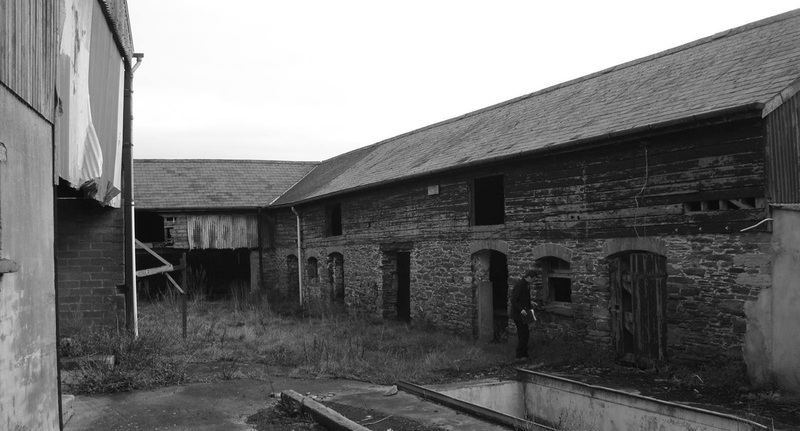 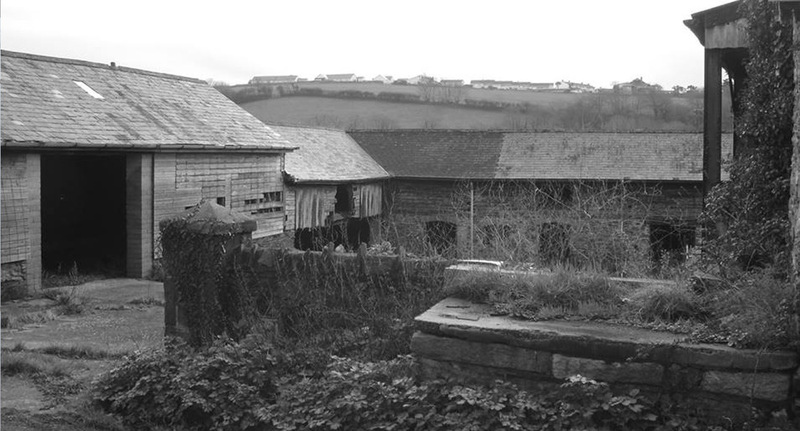 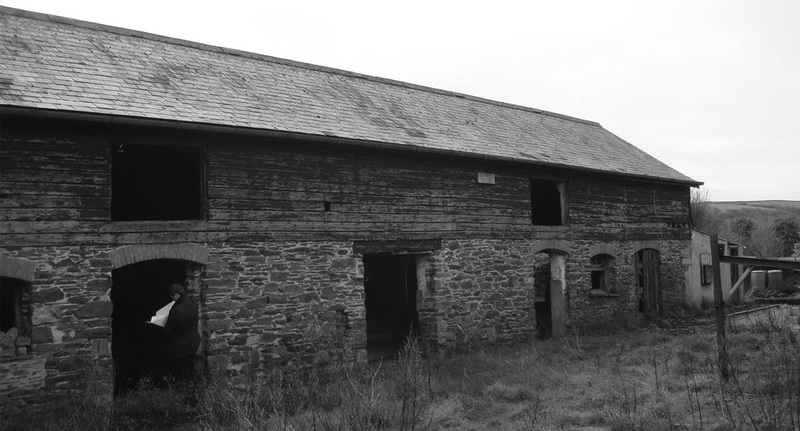 The existing barns were disused and as such had fallen into a state of disrepair, as can be seen in the pre-commencement photographs. 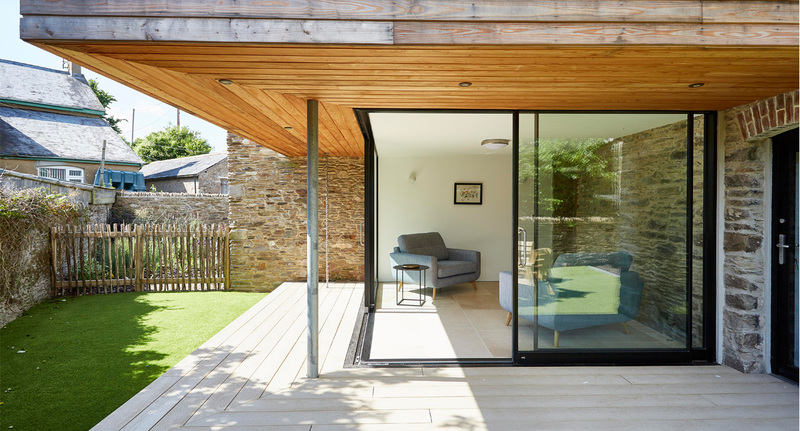 BBH began the early stages of the project with a lengthy and detailed pre application process with the Council’s planning department, in order to find a clear and defined way forward which was then implemented in the full planning application. 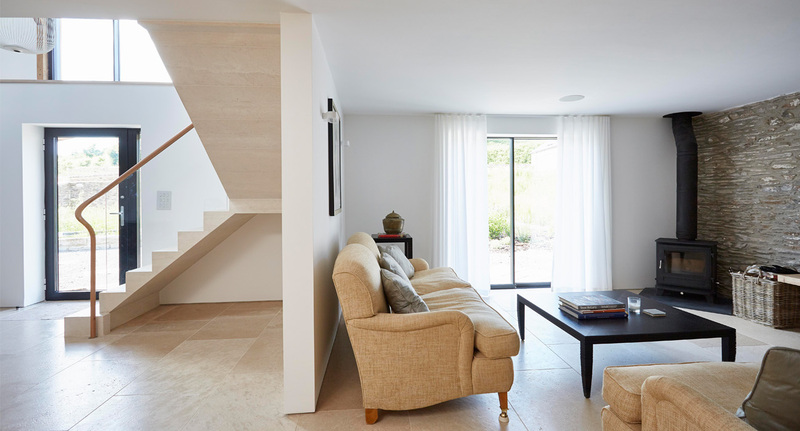 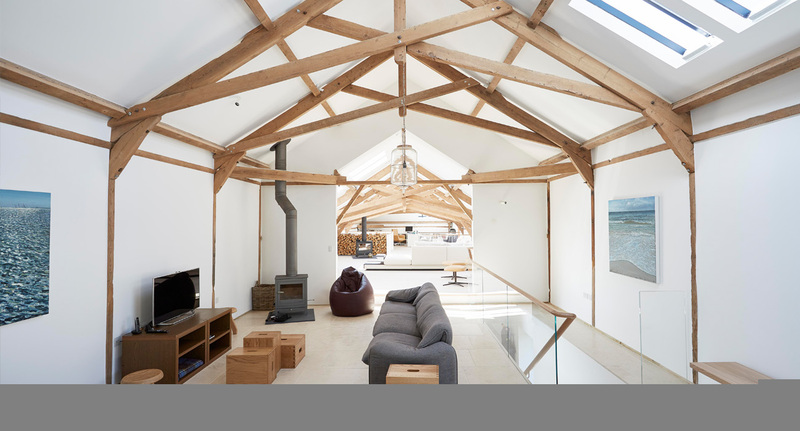 A minimalist and respectful approach to traditional detailing was settled upon, which clearly defined elements of contemporary architecture, especially highlighted within the new sun room extension, to create an exciting and intriguing design to fruition. 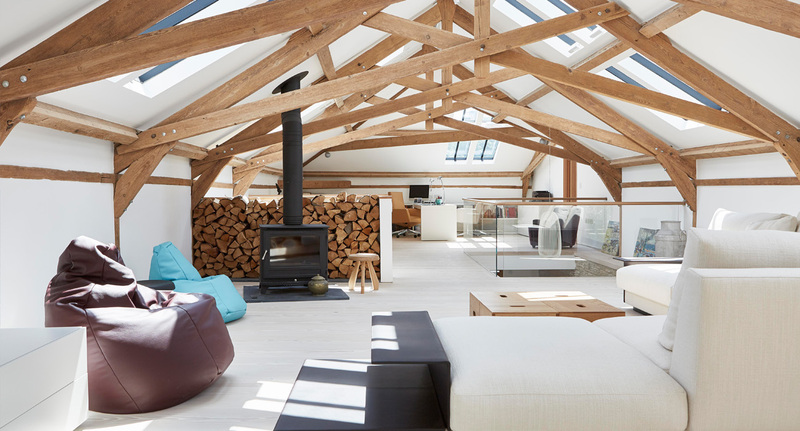 The existing roof structure to the barns has been retained and restored as part of the refurbishment project, further preserving the look and feel of the first floor of the building. 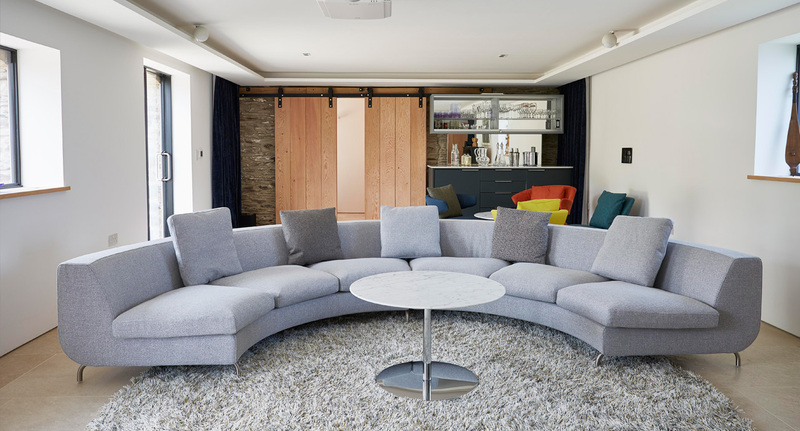 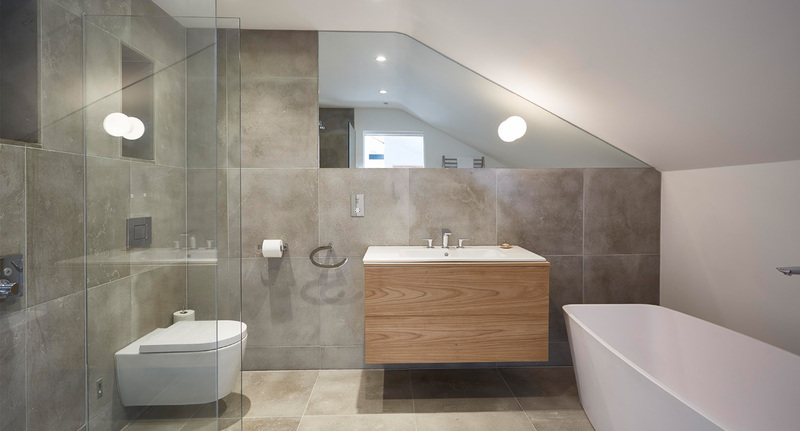 The design has utilised full integration of audio / visual infrastructure, including its own home cinema room which has been designed and installed by specialist sub-contractors, and coordinated by BBH. 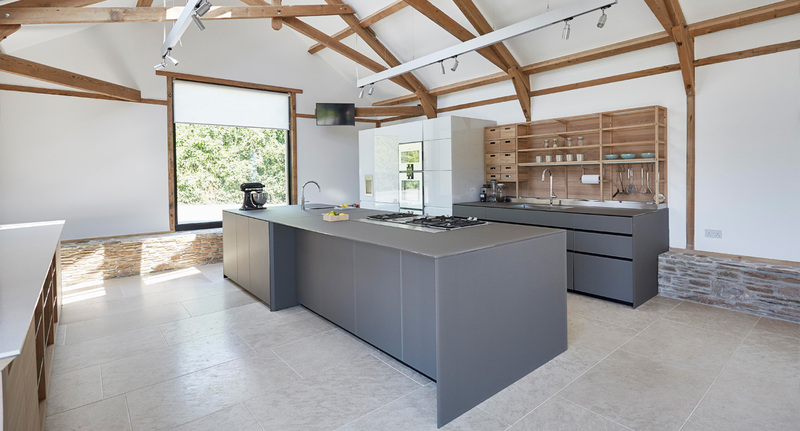 The completed project has stamped a bold architectural statement in an agricultural setting with no expense spared on construction materials or finishings and using the highest standard of workmanship throughout.